Most of the Earth’s chalk rocks formed in deep seas during the Cretaceous Period, between 65-95 million years ago. In this part of the museum you can find British chalk fossils alongside those from Europe and North America including the jaws and teeth of the gigantic mosasaurs. Each tooth is about 10 cm long. Also on display are sea-urchins and shells, similar in form to modern sea-creatures. The replicas of a Tyrannosaurs rex skull and a Deinonychus antirrhopus skeleton, both from the Cretaceous Period, are two of our most popular objects. In Late Cretaceous times a group of extinct marine reptiles, known as the mosasaurs, evolved as highly successful carnivores. 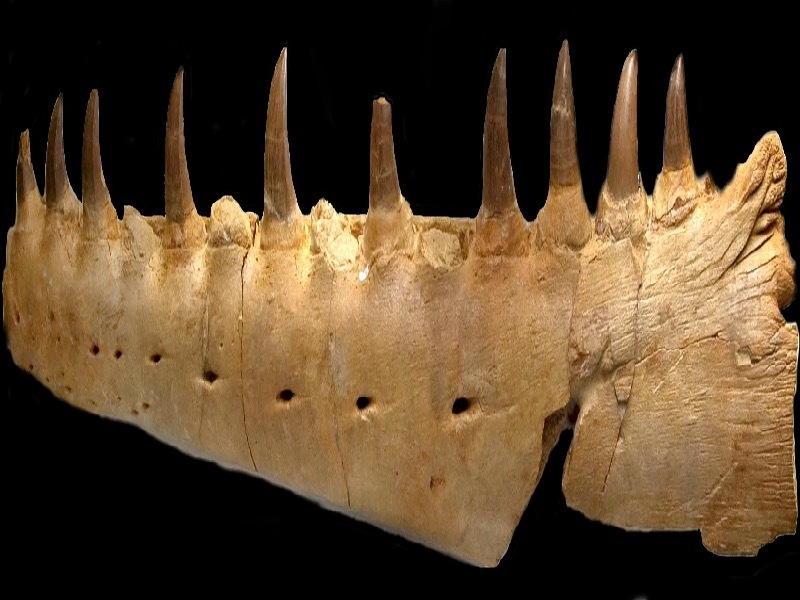 With some species growing to around 17m long, armed with sharp teeth in metre-long jaws, they became dominant predators in the world’s seas and oceans. They evolved from a group of landliving lizards, which probably lived in coastal regions before adapting to swimming in freshwater and then the sea. Mosasaurs died out in the end Cretaceous extinction event 65 million years ago. 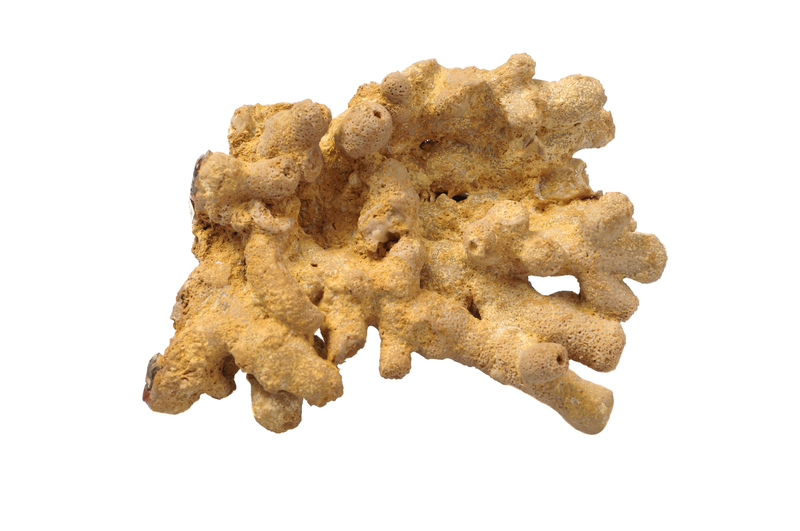 One of the most successful group of marine organisms in Cretaceous times were the sponges. Living on the seabed as simple filter-feeding animals, they had a variety of globular, vase and mushroom shaped form, such as Laosciadia, illustrated here. The sponge body was an intricate mesh of cells and skeletal materials, which included calcium carbonate, silica and an organic material called spongin. Pharetospongia was a fossil sponge from the Late Cretaceous Chalk of Southern England.